THIS novel comes with two mysteries attached, one substantial, the other superficial. The big mystery is the author's identity. Gender-neutral, nominally Anglo-Saxon, almost provocatively bland, 'C.B. George' screams 'pseudonym' to any reader. A call to the literary agent confirms the suspicion: the author is keeping his identity secret 'for personal reasons', which may or may not be connected to Zimbabwe's political situation. The second puzzle is why said author chose The Death of Rex Nhongo as his title. 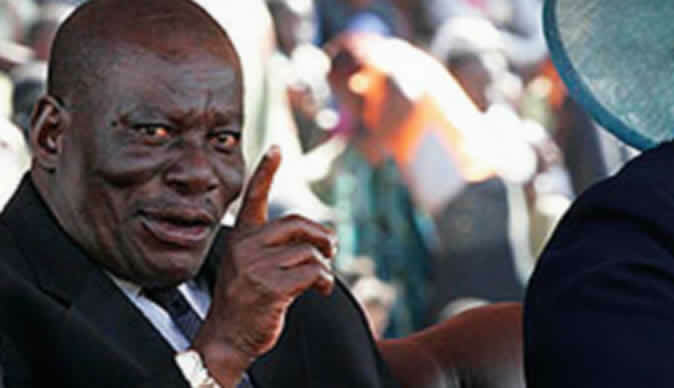 The preface explains that 'Rex Nhongo' was the nom de guerre of Solomon Mujuru, the Zimbabwean general whose body was discovered lying in the charred debris of a farmhouse he had seized from a white farmer in 2011. The story is supposedly connected to what many Zimbabweans assume was a political murder. But the connection - everything hinges on a gun which may or may not have been used to kill Mujuru - is so slight that I found myself riffling fruitlessly through the pages, assuming I had missed it on first read-through. MacGuffins rarely come more elliptical than this. Both questions are, however, essentially distractions. 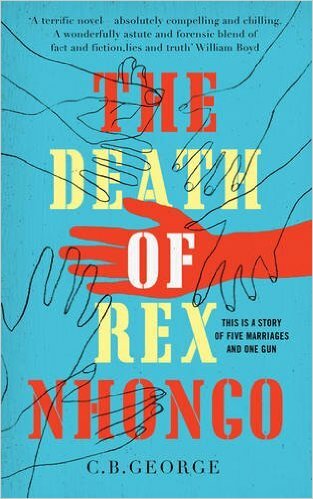 Because whoever wrote The Death of Rex Nhongo knew what he was doing: I rather doubt that this muscular, confident novel is a first attempt. While I never quite swallowed the MacGuffin, I managed to stop caring. The book has almost nothing to say about the sudden demise of a man seen by many as President Robert Mugabe's most credible challenger and likely successor. It is, instead, a sympathetic exploration of the intersection between five troubled marriages lived in the sour miasma of a morally bankrupt African police state. April, a British diplomat, and Jerry, her well-meaning nurse of a husband, make up one couple. The author is clearly at home in the 'expat' world of barbecues around the pool, racial unease and hardened alcoholism. The emasculated Anglo-Saxon liberal male is in danger of becoming a form of post-colonial score-settling in African literature - white protagonists who can maintain an erection are few and far between - but C.B. George's account of that strained relationship is horribly convincing. Then there's Shawn, a manipulative African-American with ambitions to become a gold smuggler, his distressed Zimbabwean wife Kuda and their daughter Rosie, who chatters gaily about what all the adults agree must be an imaginary friend, but is in fact a vampire. Rosie's private conversations with the evil spirit - expression of a West African ancestry Shawn boastfully exploited to impress his friends - are a genuinely creepy thread running through the narrative. The account of the stoical taxi-driver Patson's marriage to Fadzai, who runs a workers' food stall, is much warmer, as is the depiction of his brother-in-law Gilbert's attempts to do the right thing by Bessie, the young spouse who works as April and Jerry's live-in maid. As the characters stumble into each other's trajectories, the author pulls off the impressive feat of being both forensic and forgiving. In the final chapters we are suddenly treated to a summarised account of the fates - as tragic as they seem inevitable - allotted the various players. It's a telescoping I could have done without, and which left me feeling slightly aggrieved. When a writer manages to make his readers truly care about his characters, he perhaps owes it to both his audience and his creations to see them through to the end.